There’s more to college than attending class. Academic clubs, student organizations and experiential learning help you engage with peers and enrich your college experience. Make the most of your life at LIM College and get involved. The Lexington Line, LIM College's student magazine, gives you the opportunity to publish original content on fashion, beauty, culture and life at LIM while engaging with New York City and the fashion world. Each year, students participate in several different community service activities including the Bottomless Closet Drive, New York Cares Day and the Annual LIM College Blood Drive. Members of the LIM community are encouraged to take advantage of opportunities to engage in and grow from the diversity that surrounds them. LIM College offers students opportunities to develop their leadership skills. Student leaders utilize these skills in professional roles, making them well-equipped to become industry leaders. Junior and senior undergraduate students who are currently in the top 20 percent of their class and have a cumulative GPA of 3.50 or higher are invited to join Delta Mu Delta. A campaign of advocacy and solidarity against all forms of sexual and gender-based violence. Seek to enhance your college experience outside of the classroom with both co-curricular and extracurricular opportunities at LIM College. For more information about creating a new club or organization, refer to the Student Organization Handbook. To learn more and get involved, email Student Life Services or call 646-388-8429. The LIM Book Club encourages students to utilize the club as a resource to learn about leadership, to get involved at the College and to build relationships with fellow readers. We hope to excite students about reading and teach about the benefit it can bring them as a professional. BRAG LIM is charged to build student leadership, campus engagement, professional skills and community amongst members. The LIM College chapter of BRAG is committed to delivering programs that will enhance student interest in the retail and business sector of the fashion industry. Through the promotion of empowerment panels, workshops, and internship/scholarship opportunities we can heavily impact the diverse student body. The goal of the CSR club is to work towards developing a more sustainable campus by empowering, engaging, and inspiring the LIM community to lead more ethically fulfilling business practices and lives. The goal of the Cosmetics Club is to encourage student leadership, practice professionalism, make connections, and create networking opportunities with cosmetic-centric organizations and beauty companies. The Dance Team is LIM College’s dance performance organization. The dance team performs at major LIM College events such as the Drag Show and the Fashion Show. The mission of Delight Ministries is to invite college women into a Christ-centered community that fosters vulnerability and transforms stories. The Fashion Show Production Club is responsible for organizing and producing LIM College’s Annual Fashion Show. The Fashion Styling Club takes great pride in teaching students about the aspects of “styling” in the fashion world. The Fashion Styling Club will not only help students to grasp a clear understanding of the overall basic knowledge one should know when entering a career in the fashion industry, but will give those determined students a chance to actually apply what they have learned through constructive photo shoots. Students will be able to develop or further extend their very own fashion styling portfolios. Members of the club will gain learning objectives through practical hands-on experience. Our goal is to promote and represent global awareness on campus to both domestic and international students. We strive to foster an inclusive environment for our students through diversity programs and involvement with other organizations on campus. The GAP Board strives to improve social interaction between graduate students and the LIM College community by organizing , sponsoring, and coordinating social and educational activities. The LIM Her Campus club is an extension of Hercampus.com, a website for undergraduate and graduate women written entirely by college journalists. The club produces a minimum of five features and one student profile per week and serves as a career launching point for its team of writers. The LIM chapter reports on fashion, beauty, health, love, life, career, and pop culture content. Her Campus is the #1 new-media brand for the empowered college woman. The Lexington Line is LIM College’s student magazine. It covers fashion, beauty, culture, and life at LIM. All work is written and edited by students. In addition to the online magazine, there is a biannual print edition produced once a semester. 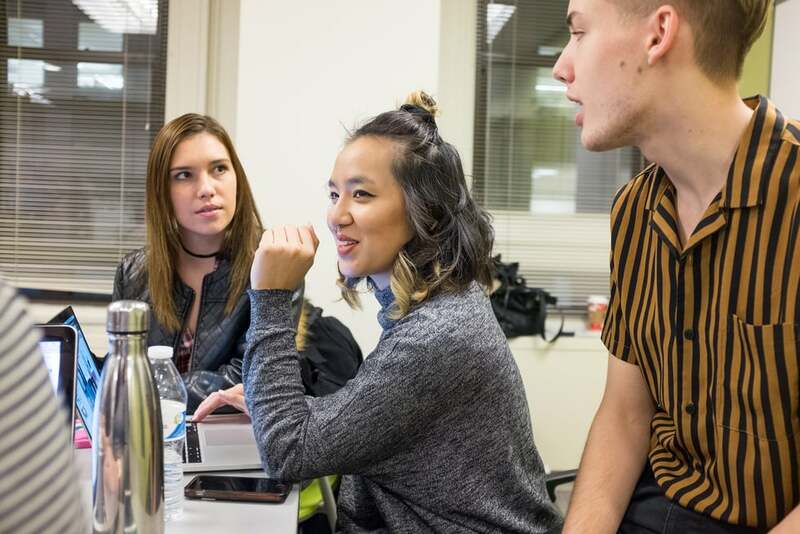 The goal of the Lexington Line is to give students an opportunity to publish their original writing and photography while engaging with New York City and the fashion industry at large. Students are presented with opportunities to meet and interview industry professionals, review products, get experience with social media marketing, and develop writing and reporting skills. The mission of the LGBTQ Alliance is to provide a safe space for people of all sexual orientations and gender identities/expressions to meet, to offer opportunities to learn, teach and discuss the challenges surrounding sexual orientation and gender identity, and to build community spirit, mutual understanding, and support for all. NRF Foundation, the education arm of the National Retail Federation, in 2011 launched the National Retail Federation Student Association (NRFSA), which will offer member students the opportunity to leverage NRF’s vast retail network to take advantage of education and networking opportunities. The vision of the NRFSA is to foster and recruit talented students into the retailing industry, enhance their educational experience at participating colleges or universities and help them build an early network of peers who will become leaders within the industry. The goals of the Philanthropy Club are 1) to promote the welfare of others and giving back to the community, 2) assist nonprofit organizations in their pursuit of helping those in need and 3) further bring generosity and responsibility into the fashion industry. The goals of the Student Life Activities Board (SLAB) are to involve students in the programming process, to provide leadership development opportunities, and to build community through student engagement. SLAB provides the student body as a whole with more extra- and co- curricular involvement opportunities. Specifically, those students directly involved will gain leadership development, teamwork, and event planning experiences. The LIM Student Leadership Council (SLC) is the voice of the student body. SLC provides an open forum atmosphere and is dedicated to being approachable and receptive to the individual differences of student needs and ideas. SLC is committed to being a source of information, guidance, and service to students. The goal of the Visual Club is to allow opportunities for the creative minds of our community, no matter the major. Together we will continue to learn and develop new techniques to keep us inspired. Through these acts of creativity, we hope to inspire others.